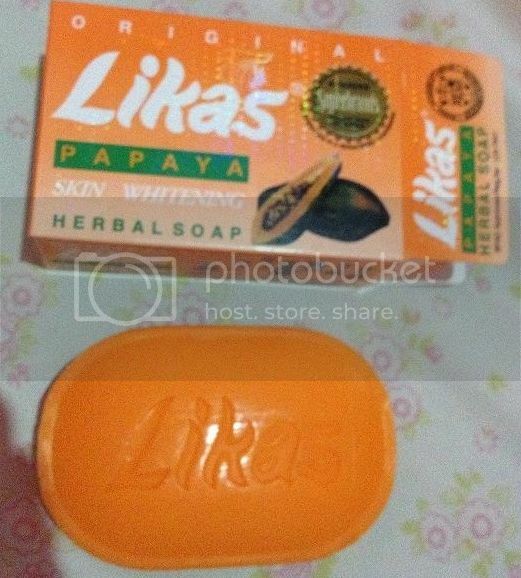 Finally I was able to get Likas Papaya soap and I can’t believe that I can only get it here in our local pharmacy. I still haven’t use the AbsoluteWhite that my mom bought after she can’t get Likas Papaya soap in the city and I am thinking of giving it away since I find a place to buy my Likas Papaya for my continuous regimen. Authenticity of Likas Papaya Soap. Anyway after searching for reviews over the net and finding some feedback from the user of Likas I learned that this soap costs Php 80.00 or $2 in the Philippines but it cost more than $7 to $8 abroad and in online store like Amazon and Ebay. But I only bought it for Php 75.00 so I can’t help but ask the owner of the pharmacy if it is just a fake soap (warning: this soap can be easily copied and sold as fake Likas Papaya soap). I was guaranteed that the soap is 100% original and they don’t sell product, she also added that fake soap has no super brands title and hologram plus it will sure sold below Php 40 only. Back to soap, well I can see some changes now after days of continuously using it, especially on face which really lighten my face and effectively removing dirt and oil. I also notice that it easily heals my pimple and lighten some marks though it is not that remarkably erasing it, maybe it will for longer and continuous use. The soap itself doesn’t melt easily like Kojicsoap and other whiteningsoap does, so I guess it will last longer like 3 to 4 weeks of using. I will update you again after months of continue using and hoping that I get the best result. See you then! I've never heard of this soap at all. I am guessing it's something geographically regional.